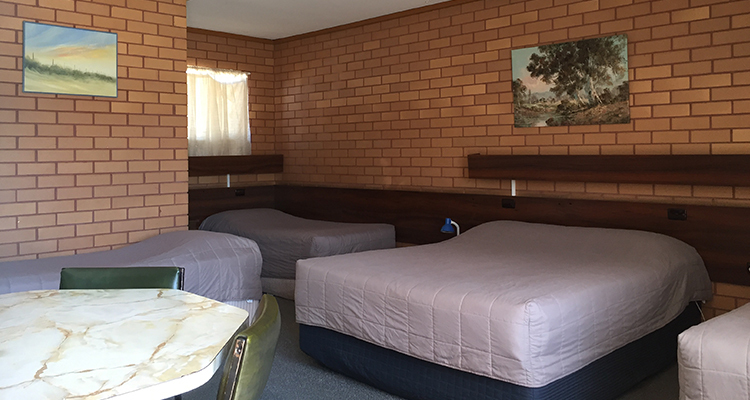 The Deniliquin Motel offers spacious rooms with heating, featuring an outdoor swimming pool and BBQ area. This motel offers free WiFi in public areas and barbecue grills. There's also the convenience of free self parking. 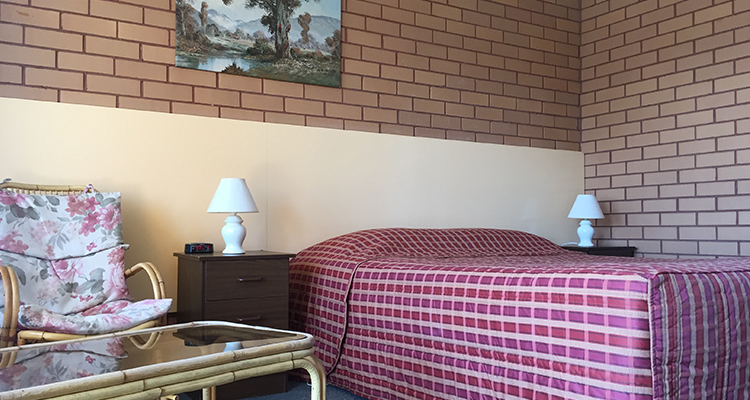 Situated in a quiet location off the Cobb Highway, Deniliquin Motel is directly across the road from the local bowling club. Enjoy a drink and a bite to eat at Deniliquin RSL Club, 300 m away. Guests can relax on the sun loungers by the pool. It is a 3-minute drive to both the Waring Gardens and the Peppin Heritage Centre. En-suite 1 queen bed. 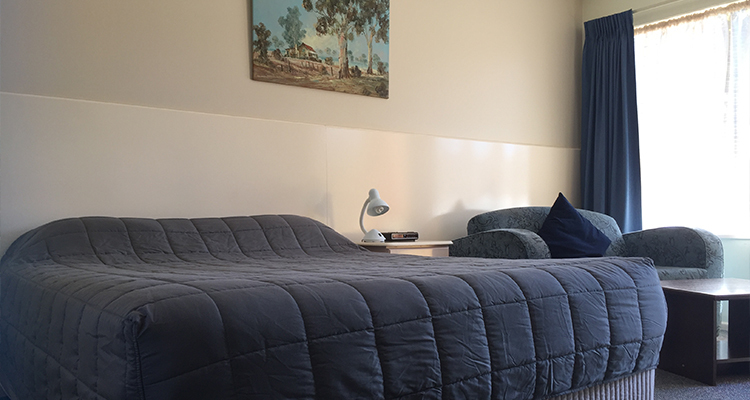 This spacious room features a sofa bed, wardrobe, TV, iron & ironing board, air-conditioning and tea/coffee making facilities. Please note that the price is based on 2 guests. En-suite 3 queen beds. balcony, a TV, air-conditioning, iron, ironing board and tea/coffee making facilities. Please note that the price is based on 5 guests. Maximum occupancy is 5 (see Hotel Policies). En-suite 1 queen bed. 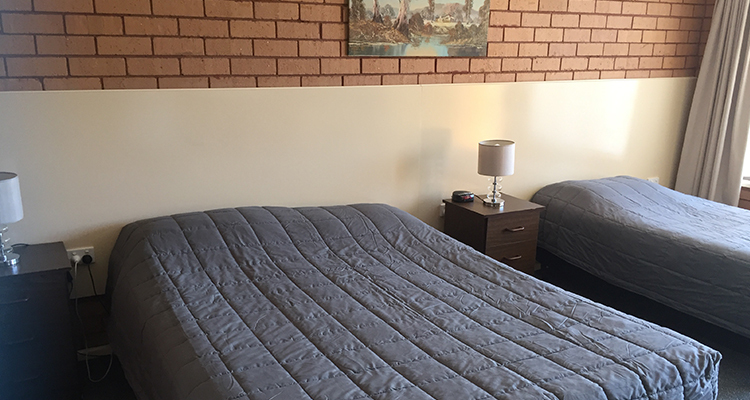 This room features a TV, and tea/coffee making facilities. Please note that the price is based on 3 guests. En-suite 1 queen bed . This room features a TV, tea/coffee making facilities. Please note that the price is based on 1 guest. Maximum occupancy is 1 (see Hotel Policies).